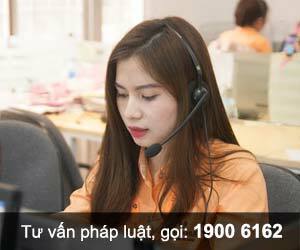 Thư trao đổi sửa đổi lần 1 Thỏa thuận giữa Chính phủ nước Cộng hòa xã hội chủ nghĩa Việt Nam và Chính phủ Thụy Sỹ về Dự án "Thiết lập hệ thống giám sát và đánh giá phục vụ công tác quản lý ngành Nông nghiệp và Phát triển nông thôn giai đoạn 2" ký tại Hà Nội ngày 29 tháng 01 năm 2015, có hiệu lực kể từ ngày 29 tháng 01 năm 2015. The project “Monitoring and Evaluation for Management of the Agriculture and Rural Development Sector, phase 2“ (MESMARD-2) initiated in 2010 has so far made significant achievements in improving the results-based planning process and monitoring and evaluation system for the Ministry of Agriculture and Rural Development (MARD) as confirmed by the Mid-term Review of the Project in 2012. We refer to the Letter dated 27 November 2014 and Project Document MESMARD-2 Extended developed and submitted to the Swiss Cooperation Office for Viet Nam by MARD (as enclosed) asking for the ten-month cost extension of MESMARD-2 based on the Project Agreement between the Government of Switzerland and the Government of the Socialist Republic of Vietnam on the MESMARD-2 signed on 29 March 2010 (hereinafter: Project Agreement). We are pleased to confirm our approval for the additional budget of USD 440’122 by the Government of Switzerland for the extended period from 01 March 2015 to 31 December 2015, which makes the total Swiss contribution of USD 3’115'357 to MESMARD-2. The cost extension will enable the achievements of MESMARD-2 to be fully mainstreamed and leave a sustainable impact in the next five-year plans 2016-2020 as well as to consolidate and sustainably entrench result-based planning, monitoring and evaluation capacity in MARD and in the two pilot provines. The Supplementary outputs and activities to be undertaken for the extension period are given in the Project Document MESMARD-2 extended (Annex 6) which form the Integral parts of this Agreement. 4.2 The Government of Viet Nam shall contribute an amount of USD 817’628 (eight hundred and seventeen thousand, six hundred and twenty eight United States dollar) to cover for the basic salary for staff at different levels, infrastructure, electricity, water, tax reduction and other activities as indicated in the Project Document MESMARD-2 and the Project Document MESMARD-2 extended (Annex 6). Payments in March will be released upon the submission of Annual Progress Report and Financial Report of the previous year together with Annual Operational Plan and Budget Plan for current year which are approved by PSC. Payments in September will be released upon the submission of Progress Reports and Financial Reports for the 1st six month of the current year and the Audit Report of the previous year. The final payment will be released upon the submission of the Project Completion Report and the Final Audit Report of the whole project. The remaining balance from the previous period shall be deducted from the following semi-annual payment. 13.1 The present Agreement shall come into force upon signature and cover the period from 01.03.2010 until 31.12 2015. It shall remain valid until the fulfilment of all mutual obligations. All other Articles of the Project Agreement remain unchanged. The modification has no further implications on other aspects of the project implementation. This Letter of Exchange and its annex (Letter dated 27 November 2014 and Project Document MESMARD-2 extended) constitute integral part of the amended Project Agreement and shall come into force on the date of your signature. This Letter of Exchange is made in two original copies in English. Please confirm your agreement with the foregoing by signing the enclosed copy of this letter and returning it to us.